There are many things the Europeans have that we Americans don’t. The Eiffel Tower, the Nurburgring, the Pope, pretty Spanish girls and a town called Llanfairpwllgwyngyllgogerychwyrndrobwllllantysiliogogogoch on the island of Anglesey in Wales. There are, of course, European things that most of us here in the States don’t care for. Sure, most of us like the Pope pretty well, and we have a statue designed by the same dude who made the Eiffel Tower, but I think most of us could do without escargot, pickpockets, pay toilets and those weird little electrical outlets. There is one thing however that many of us Yankees have been yearning for that for. Something that half a decade belonged only to those living on the shores of the Mother Country. 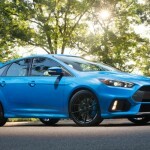 Ford finally heard our mournful cries and has delivered to our shores the Ford Focus RS. 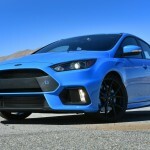 The Ford Focus RS was unleashed in Europe in 2002, but was out the following year. Brought back in 2009, we Americans have had to wait until 2016 to have one that we could unleash on the American roads. It was however well worth the wait. I had a week with the Focus ST in 2015, but this did not in any way prepare me for the week I spent with the 2016 RS recently. 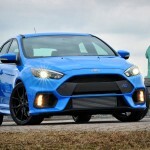 The ST was Ford’s attempt to pacify the American RS enthusiasts who could only watch the Europeans tear up the road in the RS. It didn’t work. The ST was only a small bite, an hors d’oeuvre, an appetizer. 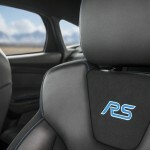 The RS is the full meal, an all-you-can-eat feast of speed and performance. 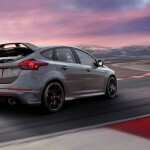 The ST had a 2.0 L 4-cylinder Intercooled turbocharged engine producing 252 horsepower and 270ft-lb torque. 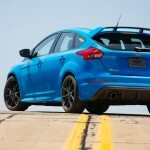 The new RS has the same turbocharged 2.3-liter four-cylinder engine found in the Mustang EcoBoost. 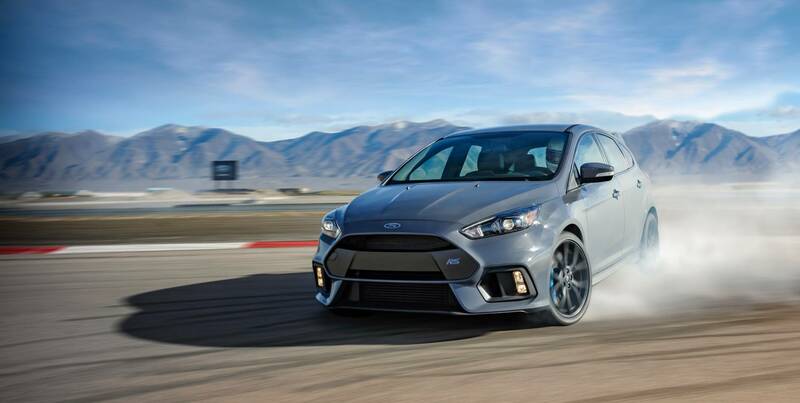 The RS gets a bit of a boost (pun intended) and delivers 350 horsepower and 350 pound-feet of torque. Ford, perhaps as a bit of penance to us Americans, has also added all wheel drive; the Euro versions were front wheel drive only. 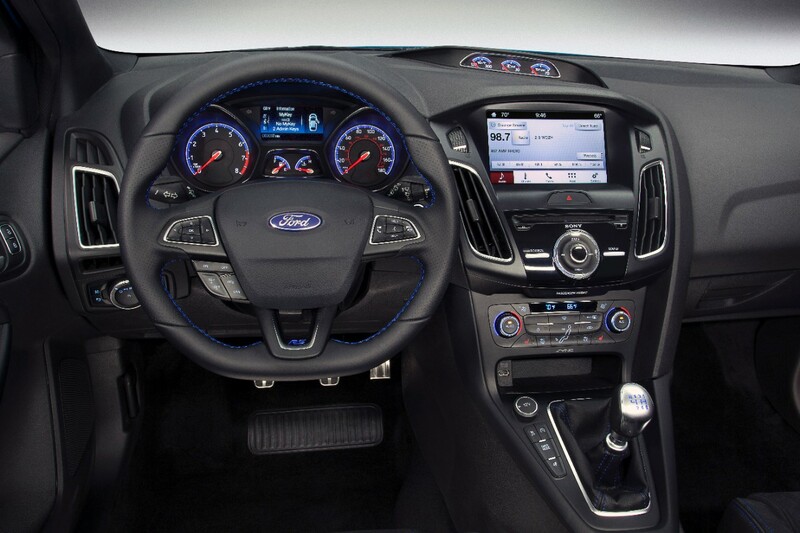 The RS has only one level and standard equipment includes keyless ignition and entry, rearview camera, xenon headlights, LED running lights, foglights, and integrated blind-spot mirrors. There’s also cruise control, dual-zone automatic climate control, a leather-wrapped tilt-and-telescoping steering wheel, front Recaro sport seats with driver height adjustment. 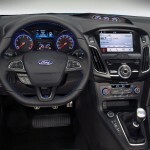 Tech includes Bluetooth, voice command, an 8-inch touchscreen with Sync 3, two USB ports, and a 10-speaker Sony sound system with HD and satellite radio. Options include the RS2 package with navigation, a six-way power front driver seat that includes power lumbar, heated front seats and steering wheel, leather upholstery with simulated suede accents, and heated exterior mirrors. 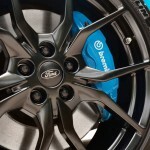 There’s also the Winter Tire & Wheel package with winter tires mounted to RS-specific 18-inch wheels. You can separately add track-ready Michelin Pilot Cup Sport 2 tires, 19-inch forged alloy wheels and a sunroof. My tester for the week had the Michelin Pilot Cup Sport 2 tires and the RS2 package. Clad in “Stealth Gray” with charcoal black accents, and a new more aggressive front fascia, my tester with its 19-inch black alloy wheels, ground effects trim and rear spoiler looked ready to take on any challenge. Anytime you are in a car with a “launch control” setting, you know you are in something special. 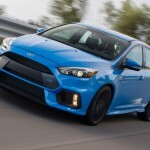 Anytime you are in a car with a “Drift” setting, you know you are in the Focus RS. 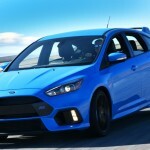 Because the Focus RS is the only car in the industry with a drift configuration. 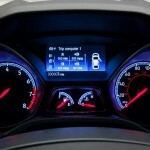 There are three modes: Normal, Sport, Track (Drift mode is under the Track setting). A six-speed manual is the only transmission available to deliver the 350 horses to the pavement. The ride is a bit stiff, and can be made even stiffer thanks to the mode adjustments. 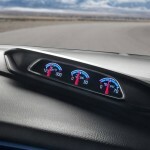 A button on the end of the turn-signal stalk however allows you to cycle the suspension dampers between two settings independent of the drive modes. 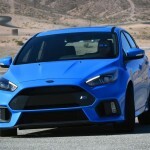 That stiff ride is to be expected, but it’s not all that different from say a Volkswagen GTI or Subaru WRX, the main competitors to the RS. 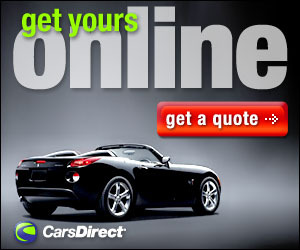 You want a well-appointed, smooth riding sports car. Plunk down double the money for something from Mercedes-AMG, or Jaguar. The mean, road-beast look carried over from the driveway to the road. 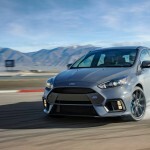 When unleashed the RS explodes off the line (0-60, 4.6 seconds), and the Michelin shoes grip firmly. After a particularly “vigorous” test drive, tiny pieces of gravel could be heard detaching from the tires on the smooth blacktop, a sure sign of how well the car was sticking to the pavement. And stick to the pavement the RS did. Aggressive cornering was laughable, the RS never so much as swayed off line. 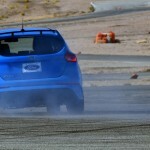 While not a drifting expert, or even a novice for that matter, after putting the RS through its paces, I have little doubt that in the right hands, drifting would be not only possible, but easy, and a hell of a lot of fun. After my week (one in which I wished there were 8 days instead of 7), I believe that when compared to its main competition, the GTI and WRX, the RS will not only hold its own, but will soon be king of the hill. It will be up to the others to knock if from its lofty perch. They will have to first fight their way through the legions of American RS fans who have waited for years for a chance to step up to the main course. Hungry fans who will be able to get behind the wheel of one of the best performing cars under $50,000 that has ever graced the wide-open roads of the good old US of A. 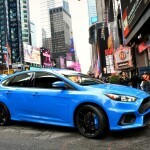 Welcome to America Ford Focus RS, we sincerely hope you will be here for many years to come.